If you’ve never had high tea in Singapore, add it to your bucket list. These feasts, often buffets, typically unfold over a few hours in posh hotels — all the better if they’re of the colonial variety such as the country’s fabled Raffles — and feature heaping tables of sweets (scones, clotted cream, jam, tiny tarts) as well as hearty servings of local savory dishes such as curry, noodles, steamed Chinese buns and more. I always look forward to the scones, cakes and tarts — what proper post-Colonial Anglophile wouldn’t? But it’s often the dainty finger sandwiches that I covet first. Cucumber, sweet curried chicken — I can never get enough. What sandwich to make? Watercress and cucumber seemed just a smidge too predictable. What appealed far more was a British sandwich I’d been reading about but had never sampled — cheese & onion, one of the most classic and basic British sandwiches, eaten by the young, the old, the poor and, well, perhaps the rich. It’s so common in London lunchboxes that grocery stores there sell tubs of pre-made filler. With no Tesco in sight in New York City, however, I set about figuring out how to make this sandwich — or, sarnie, as the Brits call their sammiches. For starters, it should be noted that the British do know their sandwiches — they invented them after all. John Montagu, the Fourth Earl of Sandwich, was said to have been so fond of gambling that he made his cook prepare his food in an easy-to-eat way, wedging meat between two slices of bread, so he could eat his meals at the table during a 24-hour gambling binge in the late 18th Century. When it comes to cheese and onion sarnies, however, no meat is involved. After seeing a blogger’s attempt to make one by simply slapping cheese and raw sliced onion between two slices of bread, I decided this would not be the shape my high tea sarnie would take. Because I wanted to class up this sarnie a bit, I cut off the crusts and sliced the sandwich up into little fingers. And boy were they delicious with a strong cup of milky Assam tea. With its very intense — and lingering — flavors, blending raw onions and sharp cheddar, this would not be a sarnie best eaten before a meeting or first date. But for any regular lunch or high tea, it’s certainly a winner. I think the Earl of Sandwich would approve. Don’t forget to check out the Let’s Lunchers’ high tea offerings below! And if you’d like to join Let’s Lunch, go to Twitter and post a message with the hashtag #Letslunch — or, post a comment below. Grate the cheese. 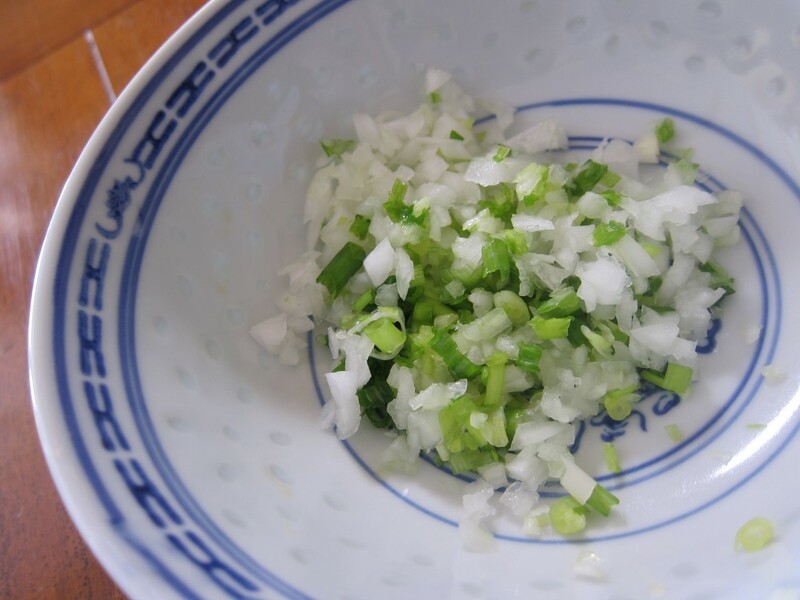 Combine in a bowl with the onions and mayonnaise. Add salt and pepper to taste. Spread the mixture between slices of buttered bread. This entry was posted in British, Let's Lunch, Recipes, Snacks and tagged Assam, British, Cheese and Onion, Earl of Sandwich, High Tea, Let's Lunch, London, Lunch, Sandwich, Sarnie, Tea, Tesco by Cheryl. Bookmark the permalink. I really want to visit Singapore and experience one of these lavish tea times. 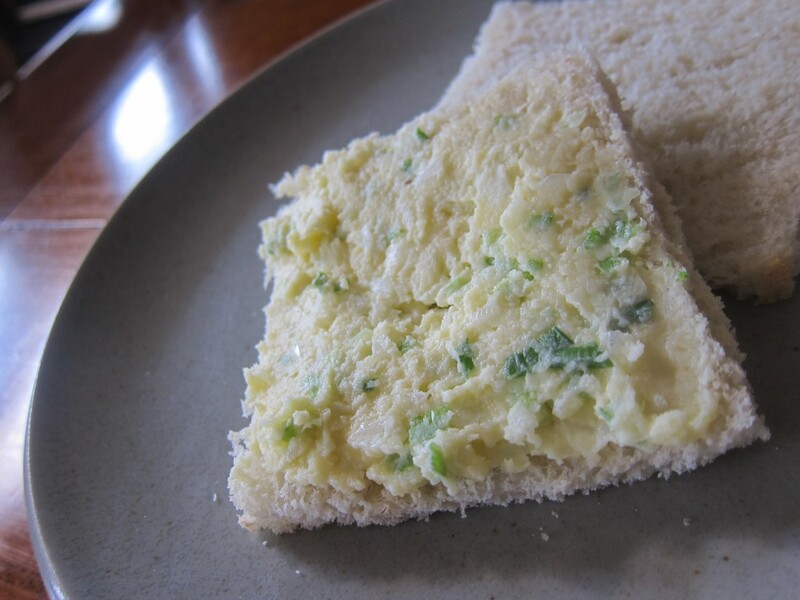 The cheese and onion sarnie looks wonderful… sometimes the simplest ingredients create the best dishes! So very true! Singaporean high teas are amazing…go prepared to eat for at least two hours straight! This sounds so good and like a lovely twist on a pimento cheese sandwich. I love seeing how some types of food repeat across different types of food – with the one little twist (onion instead of pimentos) that makes them unique. And… I can’t wait to try it myself! Now you’ve got me wanting to try a pimento cheese sandwich…I’ve never had one! Cheryl, thanks again for letting me join your lunch bunch! This is so much fun. Those Singapore tea buffets are out of control! Your sandwich looks lovely– the variation I like even more is the Ploughman’s lunch, which involves cheddar and Branston pickle. So glad you joined! And yes, “out of control” would be an accurate description! I adore Ploughman’s Lunches too … it’s been too long since I had one. Awww, I skipped the high tea at Raffles after I had read it really wasn’t “all that”. Also, I was curious if there was a halal high tea somewhere. Any-which-way I still have soooo many thing to try in Singapore, I’m sure to go back again if I’m able. Anyplace that lets me sit and eat for a couple of hours in a row – sounds good to me! I love Singaporean food too – there is a great little place in SFO called Straits cafe (at least it was great some 10 years ago!) that specialized in that unique cuisine! Just started reading about your Aunties too so now it is on my bucket list! Thanks! I agree… tea in Singapore sounds like a dream…! Loved your post (as always) and love this group! Thank you! Cheese & Onion sandwiches are not common here. You can get them from supermarkets but almost nobody would make them at home and sandwich fillers are not commonly bought and are shoved onto other things more often like baked potatoes. Common sandwich fillings here are tuna mayo, prawn mayo, ham and cheese, egg mayo and anything with sweet chilli – which we brits are crazy for. 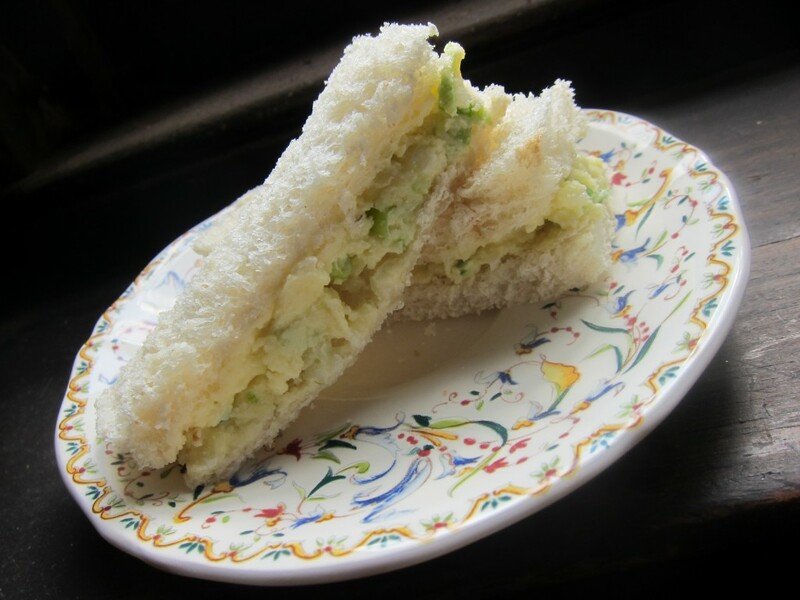 Oh, curry is No.1 but sadly we don’t include in sandwitches which I do. It’s delicious. Sweet chili — I don’t use that at all in sandwiches. Now I’ve got to try that!